Last weekend, Stowe Public House opened at 109 Main Street. The provisions shop is stocked with cured meats, Vermont cheeses and condiments and preserves from local artisans. Shoppers can try before they buy at the tasting table. Small plates will be served, along with cider, beer and wine, when a bar room opens toward the back of the building later this summer. Stowe Public House carries 50 craft ciders and as many wines: Sommelier John Conrad, who handles that list, will offer tastings once the bar opens. 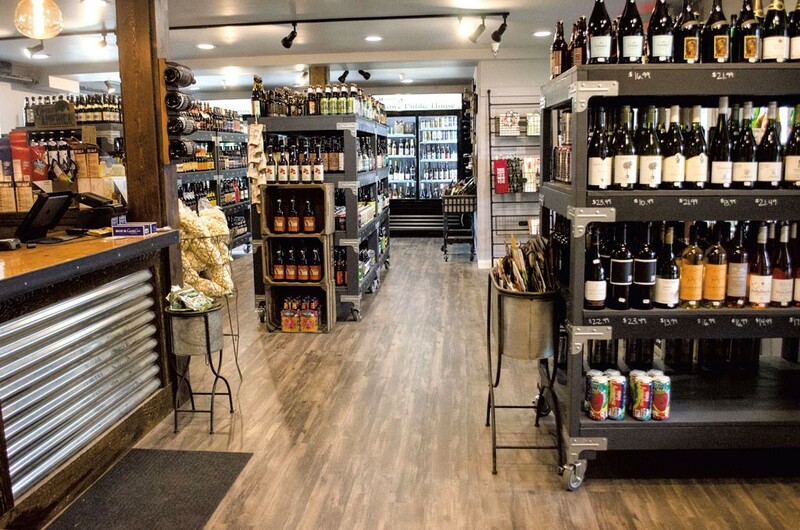 But retail beer is the real focus, says manager Denise Earley. The venue will host brewers and cidermakers for regular tastings. Beer buyer Ronny Stelly says he's working with a dozen local distributors to grow his stock list to 800 or more unique brews. Rare European finds such as Professor Fritz Briem's 1809 Berliner Weisse (Germany) and Brouwerij Rodenbach's Grand Cru Flemish red ale (Belgium) may draw beer nerds inside. But last weekend, Stelly says, the IPAs, such as SingleCut Beersmiths (Queens, N.Y.) and Softly Spoken Magic Spells, sold best. Though the Public House eschews bottle limits, Stelly hopes that mixed six-pack deals will encourage visitors to try new things. "If you want to become a connoisseur," he suggests, "you can't be drinking just double IPAs all the time. You need to branch out." Manager Earley's family owns Stowe Mercantile and the Boutique a few blocks away. She hopes that, with Tap 25 now pouring craft suds a few doors down, and Black Cap Coffee & Beer located across the street, the village's north end will become a hub of beer conversation and collaboration. The Public House is working with Tap 25 owners Tim and Carrie Bryan to stock some of the beers on draft at Tap 25. "So, if you drink something there and really like it," Earley says, "you can come over here and buy it." The original print version of this article was headlined "Beer and Provisions"